I’ve owned and restored Galaxies for 41 years, restoring personally since 1979 and professionally for 12 years. In 2009, with enormous support from my bride of 31 years, I began my own restoration business, constructed a shop and have been facilitating 1st rate restoration on many American marques – classic and muscle. My first car in 1975 was a 1963 R-Code fastback and I’ve been hooked since. 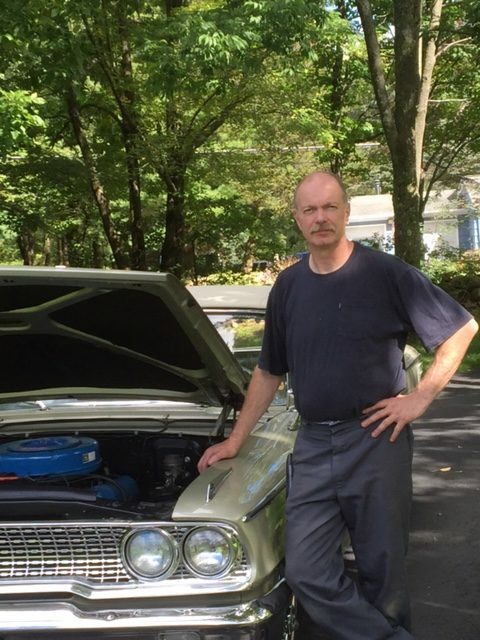 I currently own an X-Code 1963 Galaxie 500 convertible that I purchased from the original owner in 1979. I’ve since completed a frame-up nut and bolt restoration on it preserving originality where possible. I’ve also owned several other Galaxies through the years and currently have two in line for restoration. During the restoration of my convertible I found Greg Donahue. After talking with him and getting his catalog, he became my only choice for parts, as he always had what I needed and I knew that his parts were the best available. Through the years, I’ve continued to talk with and buy parts for customer restorations. In March 2016, we got the opportunity to meet Greg and his wife after accepting the opportunity to check out possibility of purchasing of his parts inventory, supplier contacts and molds. We recognized that this was a “once in a lifetime” opportunity and went forward with the purchase. Our goal is to continue this as Greg had done for 42 years and ensure an easy transition for all of his customers and so the high-quality parts would continue to be available. I look forward to assisting you during your projects – big or small.